What to do with Whittier School? This post is running concurrently on our A Better Brainerd site and deals with the reuse of an abandoned neighborhood school. The school district has worked with the city and the neighborhood on this issue, but all of the interested buyers have had proposals that were not compatible with the neighborhood. This neighborhood constitutes the original plat of Brainerd, including the town square which is just across the street from the school. The school was built in 1939 and, according to reports, is in good condition. Nobody seems to know what to do with one of the more important pieces of property in the city of Brainerd, the Whittier School site. The confusion comes from an attempt to align the priorities of the school district with the priorities of the neighborhood and the city. While a laudable goal, these priorities don’t align. Despite the political discomfort, the city needs to stop trying to make them. School District 181 has closed Washington Middle School, Franklin Junior High School, Lincoln Elementary and Whittier Elementary – all neighborhood schools in the city of Brainerd – while building the new 5th to 8th grade Forestview campus in neighboring Baxter. While I would dispute the logic behind these moves[i], they made sense to the school board, the administration and, ultimately, the voters who approved the Forestview bond. What cannot be disputed is that these moves have financially impacted the city of Brainerd, and not in a good way. While Baxter and the other communities around Brainerd can offer more raw space at a cheaper price, Brainerd’s selling point is the amenity of great neighborhoods. That means nice parks, great restaurants, good retail and quality schools all embedded in neighborhoods that are pleasant and walkable. For Brainerd to be successful, living in the city must essentially be a quality over quantity proposition. There is no more important factor for a family’s quality of life than the quality and convenience of the schools they send their kids to. A generation ago, families living in Brainerd could wake their kids after 7:00 AM, feed them a good breakfast and see them off for a short walk to school. Now 5th through 8th grade students living in Brainerd must get up unreasonably early and then spend the equivalent of an entire work day each week commuting to and from school. Few adults in this area would tolerate so much time wasted in transit, quick commutes being a key reason many locate here in the first place. 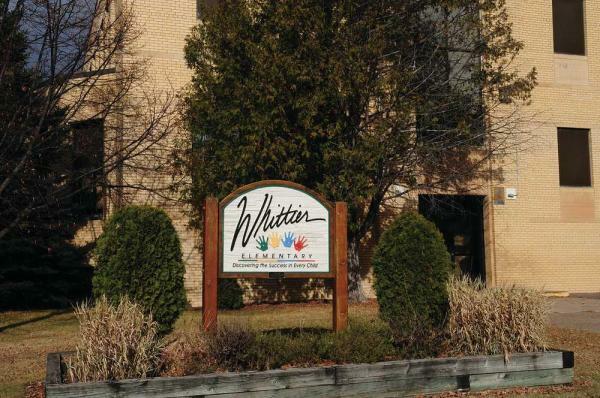 To improve the financial health of North Brainerd, Whittier School needs to be reopened as a charter school for 5th through 8th grade students. This undertaking need not cost the city anything but some time and effort. The city should establish a committee – but please, not the same old suspects – to make an application for a charter and work on establishing the school. There are development opportunities on the east side of the site that, along with future lease payments, is enough to entice the right investor (or non-profit holding company) to acquire the property from the school district. With its zoning authority, the city ultimately holds all the cards needed to make this happen. The school board is not likely to appreciate this effort. I was there when the Montessori Charter School approached the school board with a request to utilize space in the Washington building, a proposition that would have brought hundreds of thousands of dollars to the school district for space that is tragically underutilized. Board members denied the request indicating they didn’t want to support “the competition.” Today Discovery Woods Montessori successfully operates out of a private building near the Arboretum, their taxpayer-funded lease payment going to a private party rather than School District 181. Its presence has added to the Brainerd Lakes Area’s reputation for quality education, a benefit to everyone. The city of Brainerd is not a competitor of the school district, but neither are their interests universally aligned. This is one instance where the city needs to act independently to realize a strategic investment in one of its core neighborhoods. Let’s not let this opportunity pass for lack of vision or leadership.